JUST SOLD - More Happy Sellers and Buyers! Anne Busse-Gandt just sold this beautiful home in the sought after Four Seasons neighborhood of Spruce Creek Fly-In, as she continues to improve area home values with a record setting year in sales. 2728 Autumn Leaves Drive is a four bedroom, three bath home nestled on a beautifully landscaped large private lot backing up to the lush greenbelt area. The etched glass double front entry doors, tiled-roof, circular drive and screened lanai with pool and spa are just a few of the exterior amenities of this lovely home. As far as interior perks, there are many architectural features included in this very popular "Preakness" floor plan built by ICI. The kitchen includes lots of cabinetry, granite countertops, center island, pantry, planning desk & breakfast nook which overlook the Family Room and Pool. The Master Suite has sliding glass doors opening to the covered lanai, screened Pool & Spa. The spacious Master Bath offers a glass block wall for natural lighting, His & Her vanity sinks, a walk-in closet, garden tub, separate shower and private water closet. 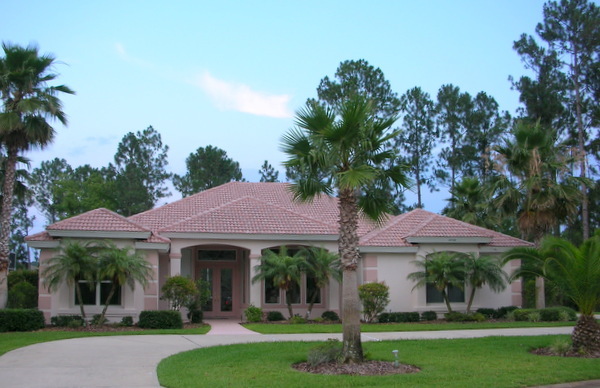 Spruce Creek Fly-In is a gated country club community, and offers something for everyone. Call Anne Busse-Gandt or her Team at Country Club Properties of Spruce Creek at 386-756-6105 today to check out other available homes in Spruce Creek Fly-In or any of the other surrounding upscale gated communities in the Port Orange area, and let one of them help you find the home you've been searching for!